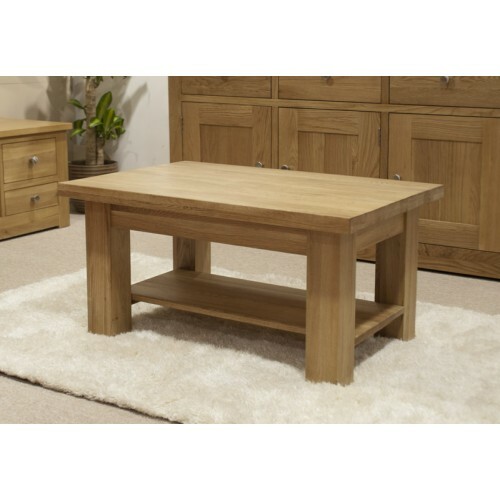 This solid oak coffee table will fit just about any room - its 90cm long and 60cm wide, making it substantial but without taking over a room. 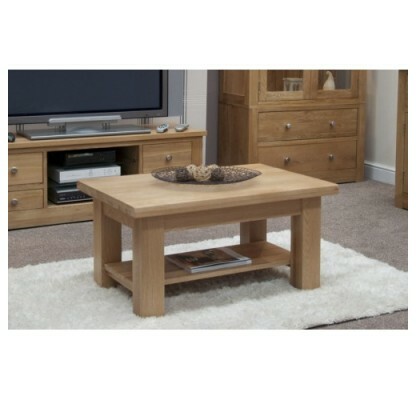 This oak coffee table comes with a bottom shelf for storing away magazines, remotes and paperwork, leaving the coffee table top open for a lovely centrepiece. 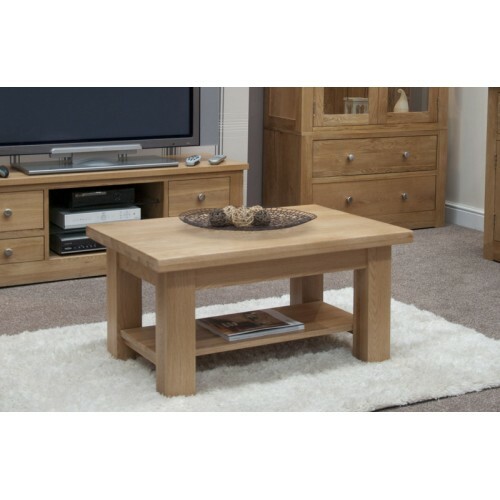 The Opus Modern Oak 3 x 2 Medium Coffee Table is made from 100 % solid oak with a light lacquer finish manufactured using traditional dovetail joints with solid bases and rear panels. Opus oak furniture has a modern classic design and includes a lower shelf. Opus oak is our most cost effective range of solid oak furniture. 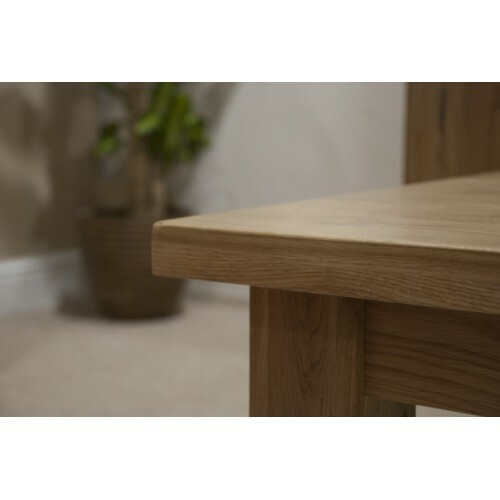 The opus modern oak range includes furniture for the bedroom, office, living room and dining room and is delivered part assembled to ensure ease of access to your home.